We welcome new members all year long, and your dues cover the membership year of June 1 through May 31. 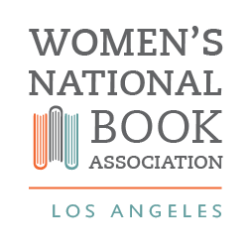 Send a check for an Active Membership $45 to: WNBA-LA, 944 Centinela Ave. Santa Monica, CA 90403 and CLICK HERE to download our sign up form to mail in (Live PDF file). Membership is much more fun with a friend. Invite a friend to join WNBA and share in the fun. Add your book to the Boston Public Library’s WNBA collection (and to the circulating collection, if desired). More information in the National Members Only section. Learn about trends and issues in the book industry and literary world in your region and in the larger U.S.